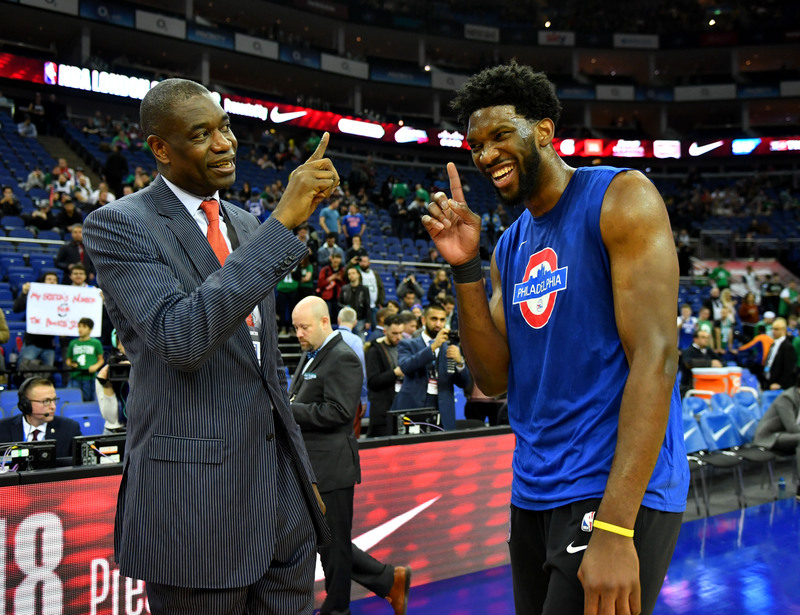 The third African-born player to appear in the NBA, Dikembe Mutombo feels it is his responsibility to reach back and keep the option available to his home continent. He told The Crossover how NBA Africa Game helps that effort. The third NBA Africa Game will tip off Saturday in Pretoria, South Africa, with 18 NBA players participating in the exhibition as part of Basketball Without Borders, the NBA’s outreach program that helps spread the sport around the globe. This year, the game will be played in support of the Nelson Mandela Foundation in honor of Mandela’s centenary, and the participants are spending the week mixing basketball camps with community service, including NBA Cares projects like Habitat for Humanity, Hoops for Hope, and other local organizations. Over 80 current and former NBA players have direct ties to the continent of Africa, and while the NBA Africa Game focuses on positively impacting local communities, it also serves to honor the players who paved the way for African-born players to make it to the NBA. Among those pioneers is Dikembe Mutombo, who carved out a Hall of Fame career over 18 years in the NBA. Just the third African-born player to appear in the league, Mutombo grew up in the Democratic Republic of the Congo and went on to attend Georgetown before being drafted at No. 4 by the Denver Nuggets in 1991. 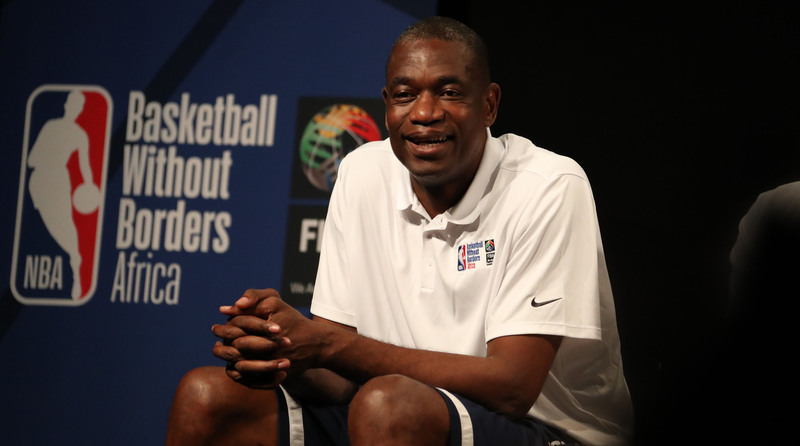 A staple of the Basketball Without Borders program, Mutombo met with Mandela several times as part of the NBA’s efforts to grow its presence in Africa. The Crossover caught up with Mutombo to discuss his career, his hometown, and what it means to be an ambassador for the game of basketball. Ben Ladner: Growing up playing basketball in the Congo, were there any guys you admired or tried to model your game after? Dikembe Mutombo: I really didn’t pick up the game until my sophomore year in college at Georgetown. I tried to play one year in the Congo following my brother, but we didn’t have much chance to watch as many NBA games like so many kids in Africa are watching today. There was only one big player we knew because he was from Africa, which was Hakeem Olajuwon. BL: Do you remember the first time you played against Hakeem? DM: Oh, I remember the first time I played against him in 1991, my rookie year. It was a big battle and all of the TVs were on me. BL: Were you at all starstruck? Did you say anything to Hakeem before the game or have any extra butterflies playing against him? DM: No, I think I was more motivated about playing against him because I didn’t want to be embarrassed and I wanted to show the world that I’ve reached this level. I’m here to compete, I’m not such a young Dikembe Mutombo that people saw playing in college, but the Dikembe Mutombo who is in the NBA now and playing at the top level. BL: When did you first realize that you could be an ambassador for basketball in Africa? DM: I think on my draft day. Being the third NBA player from Africa, I have a responsibility to make sure that all the kids on the continent would play the game, that they did play, and also would get a chance to make it to the NBA because my challenge in life was to make sure that I was not the last Dikembe Mutombo playing in the NBA or the last Hakeem Olajuwon. And so I was making sure that we keep that door open for the next generation and I think that I did a good job of that. BL: Do you have any relationship with Joel Embiid? How well do you know him? DM: I’ve known him since he was a little kid, since he came to Basketball Without Borders for the first time. And I saw him when he went to college, watched him when he came to the NBA. I told so many people with the 76ers, the way this kid is progressing, the way he’s playing, despite his injury, when he would get a chance to play a full season he will show the world [that] he has a chance to become much better than me or somebody else playing in the NBA from the continent. I think his approach to the game—he wants to dominate. I’ll kill you on the block, I’m gonna embarrass you, and that’s something I love about him. He’s a better offensive player than I was because I think when you look at some of his moves, I didn’t have that. It’s kind of a mix of Hakeem Olajuwon and another center. He has all of that, so that’s what makes him the great basketball player that he is. BL: Part of your outreach to the continent of Africa has been building a hospital in your hometown, which is 11 years old this year. What kind of impact has that had on the community and what are you most proud of about that? DM: To see the impact that we’re having on the community. The hospital has been open for 11 years and we have treated more than half a million people so far. It’s a good thing. That’ good news. We’ll continue to expand. [We are treating] mouth cancer, we are treating breast cancer, we’re doing chemotherapy, we are treating cervical cancer and other cancer. I think we are taking a big step and I just don’t want us to stop, but to continue to grow, because the need is so big in the continent, and we have to continue to do our best. BL: What parts of the Basketball Without Borders and the NBA Africa initiatives do you enjoy the most? DM: I think the thing that I enjoy the most is the difference that we are making in our community. Just seeing the results every time we’re here, I think I enjoy that the most. It’s our third year coming here, teaching the game. But the difference that we are making, that’s what we enjoy as well. To come here to all of the Basketball Without Borders, if the impact had not been seen and the result is not there, people really would not take you seriously. BL: A few years ago, you and Hakeem suited up and actually played in the game. BL: Any chance we see you on the court again this year? DM: [More laughter] I don’t know, I mean, you need some training for that. I don’t know if they will ever tell me to get on the court. I think the league is scared to be responsible for anything that might happen to me. But we did enjoy it. It took me one second to say yes to the NBA when I was asked if I would play in the first game in Africa, so I would not mind if they ask again for me to come and play another two minutes. I just need at least a month’s notice to get on the treadmill to train myself. Because right now I really don’t play ball much. I still go to the gym and lift weights, exercise, but getting on a basketball court, shooting, running up and down—a few old guys can do that—I wish I could do that. I’m gonna figure that out down the road.